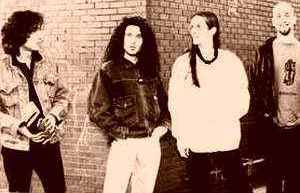 In fact, when Porcupine Tree born, they were not really a band, they were it only among Steven Wilson's friends and acquaintances. It was the year 1987, when the genius Steven started his first records in his studio-home as a musical progressive-psichedelic experiment inspired by rock bands of the '70 years, as the same time cooperating with another project called No-Man. 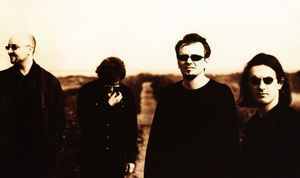 Following, Porcupine Tree songs interested always more that part of audience who loves the particular genre and a help for the band is from the english underground magazine Freakbeat. Given the success noticed, now the problem was to play live, that as yet was impossible to realize, so Steven "raised" the other members of the group among which the alreafy known Richard Barbieri ex Japan, the charismatic drummer Chris Maitland and the alert bass player Colin Edwin, these new musicians already cooperated with Steven separately in other projects showing their musical skill. With the guitar and the voice of Wilson,this skill mix will be explosive, but it won't waste like flash in the pan,every new album is more successful than the prior,just like now. Also when the more difficult task in a world tour,of 2002,leads up the drummer Chris Maitland to leave the bandreplaced by the master Gavin Harrison example of living technique,the band doesn't lose the appeal conquered as yet, just right now Steven decides to experience another way,inspired by metal groups,melting this gender with his music yielding it unique and unrepeatable. 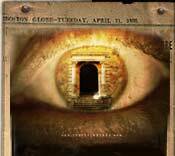 With a hand from the guitar of John Wesley Porcupine Tree's lives become more comprehensive and decided. They will conquer the world,after having licterally hipnotyzed european public, then the american, Porcupine Tree, never fill, prepare themself to disembark to Japan, where already started to a sure success in asiatic countries too. Write by Evaristo Salvi, translate by Harill Sunn.